On our last day in Japan, we checked out of the hotel and put our luggage in storage since our flight wasn't until 11:55 pm. 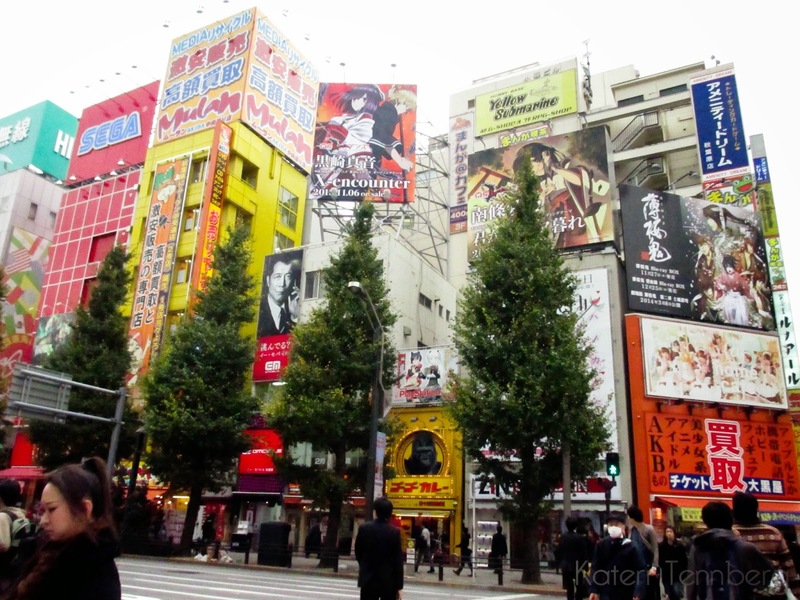 That day we decided to go back to Harajuku, so I could do some of my shopping, and we decided to tackle Akihabara. My nephew really wanted an Attack on Titan figure, and I wanted a Sailor Moon figure, and Kevin wanted a copy of the Initial D video game, so that was the goal. 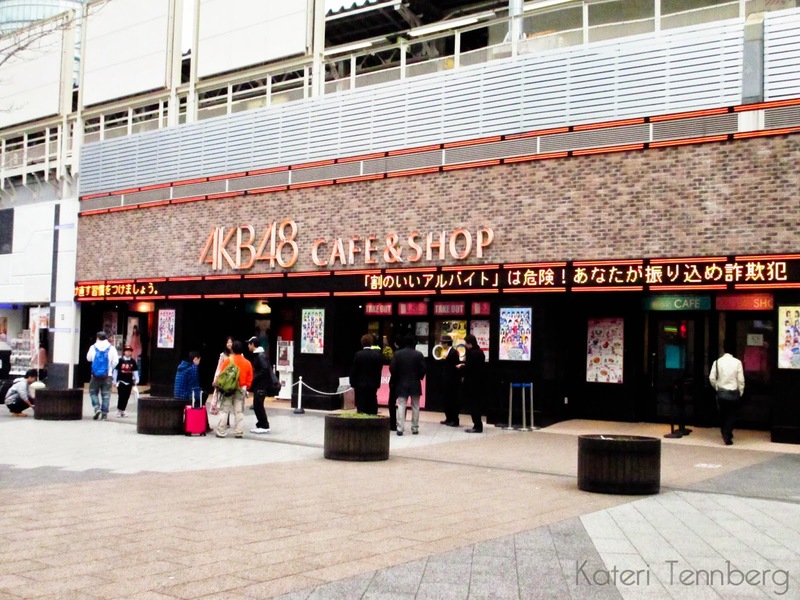 When we exited the train station, the first thing we saw was the AKB48 cafe. AKB48, if you don't already know, is a ridiculously popular girl idol group that has 48 members. Why you would need that many people in an idol group is beyond me. 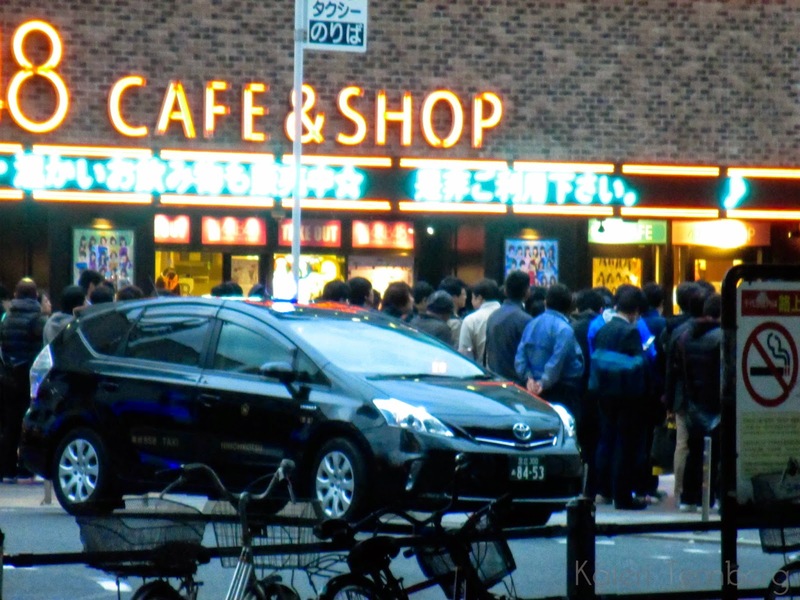 But that's besides the point, obviously, because people (men) line up to get into this cafe, where they can actually mingle with members of the group and even see a performance. 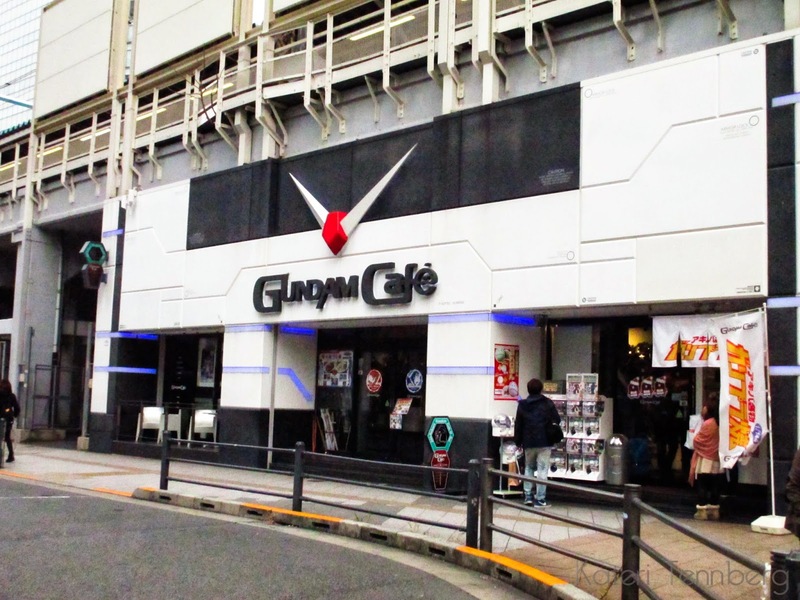 Next to the AKB48 cafe was the Gundam Cafe, just like the one in Odaiba. The streets looked decked out for Christmas, but it was probably prettier at night. And thus began my search for figurines. 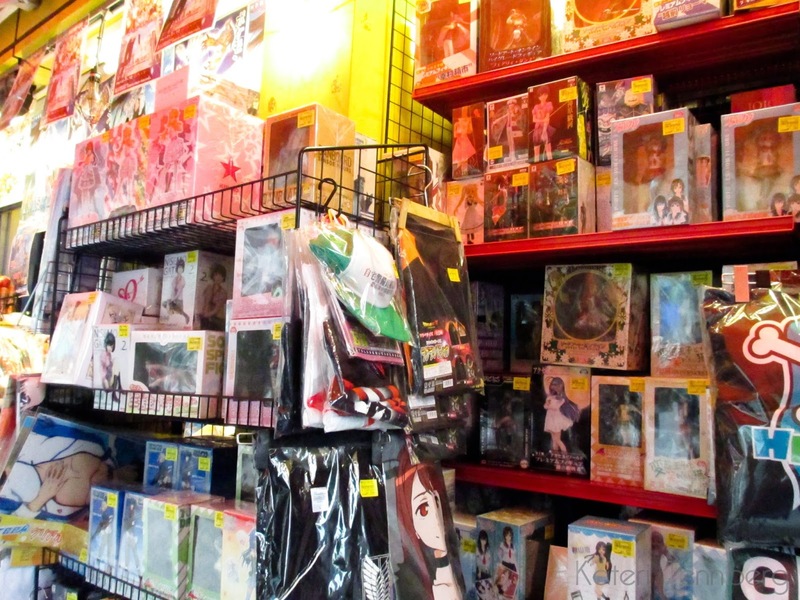 We ducked into every shop we ran into, but I just couldn't find an Attack on Titan figure. In the end, I was not able to find an Attack on Titan figure. The problem was, the anime was too new, and there really weren't any figures available. I managed to purchase a sailor moon figure from one of those collection stores where you pick what you want out of clear plastic display cases. Later, I found it cheaper at an actual store. Well, lesson learned. Kevin did manage to find his video game, and he was so stoked. By the time we were done, we needed to purchase another suitcase. 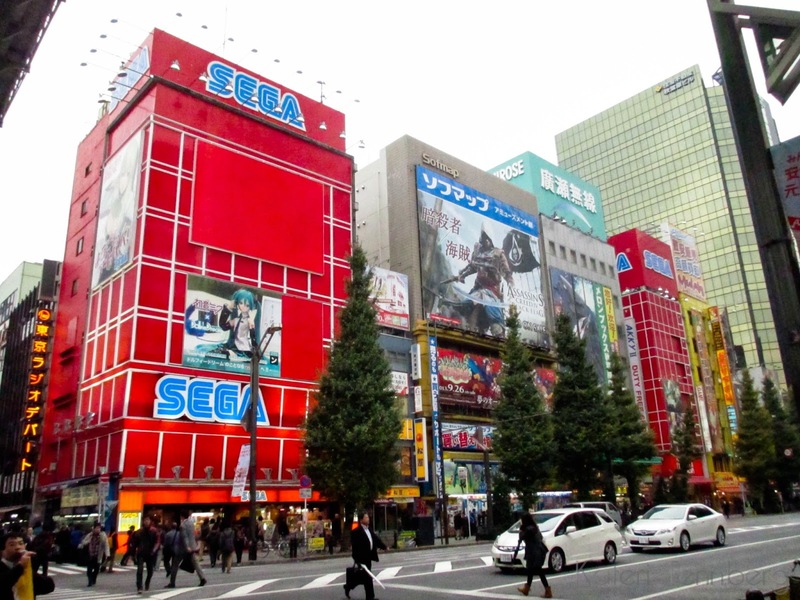 The hard shell cases were really cheap in Akihabara, which was full of duty-free shops. 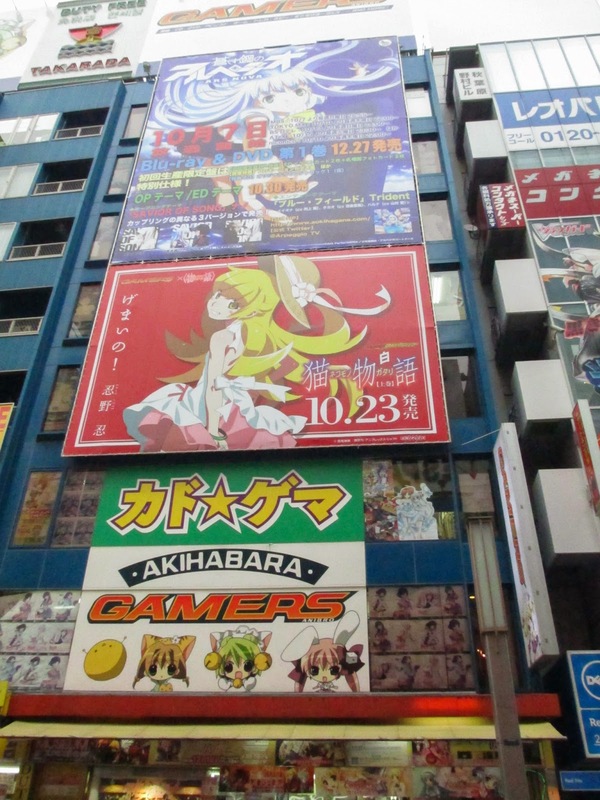 Overall, I wish I could have spent more time in Akihabara, maybe visited a maid café. But we were so focused on our goals I don't think we really got a chance to enjoy it. Next time I definitely want to enjoy the place. Japan Honeymoon - on Our Way to Osaka!